Every year, Ohio Valley Publishing attempts to raise awareness of breast cancer with this annual, special edition which, among providing health care tips and hope, attempts to honor survivors. In addition to honoring survivors, I’d like to honor the “survived by.” These are the individuals you read about in the obituaries of women, and men, who lost their battle with breast cancer. They are the ones left behind in a club where no one wants a membership, because that membership is lifetime and comes at a price. My mother, Janie, has been gone now for 20 years. She lost her battle with breast cancer in 1998 when she was 47 years old. I used to think 47 was old…not so much anymore. In 20 years, she’s missed the birth of three grandchildren who know her only as an image in a pictureframe. These grandchildren are just a few of her “survived by.” These are my sister’s children, by the way. In my adulthood, I decided to raise cats instead. They are lower maintenance and you can leave them unattended for long periods of time, which comes in handy working in the newspaper business. My sister Ashley had turned 18 only a few weeks prior to our mother passing away. Mom wanted to hang on until Ashley’s high school graduation but missed it by “that much” as TV’s Maxwell Smart might say. This is what cancer does, it fills the “survived by” with the missed memories…the “missed” in general. It fills them with questions of “why?” They wonder “why did my loved one not make it?” The only way I make sense of that one is that our human brains, and hearts, can’t handle the answers. It’s like trying to explain Shakespeare to a dog. No matter how smart that pooch is, all they hear is the noise the words make, not the meaning. Or, maybe, it’s simply an intense lesson in accepting what we cannot change. What doesn’t change are the memories of the “survived by.” I believe, over time, that lost loved one’s function in our lives may be replaced by other people without replacing the actual loved one themselves. For example, I have multiple maternal figures in my life but no one could replace my mom’s sense of humor; her love of little dogs in sweaters and three-legged cats; her cassette tapes scattered inside her car…John Lennon here, James Taylor there. She was a person who was often asked where items were located at in retail stores by random strangers, not because she worked there but because she had an approachability that can’t be faked. Her ability to take life in stride will never be undone or untangled in my memory. She made every attempt to not let cancer take away the habits that made her happy; to maintain the routines that made up life as she knew it “before.” I remember she would have her chemotherapy treatments and afterward, leave the doctor’s office and go to a mall to be distracted, or maybe to search for something to feel better about. She never really clarified that for me but I also never asked. So many things I wish I’d asked. During a recent health issue of my own, I remarked to my mother’s longtime, childhood friend, Mary Jane Getty, that I didn’t know how mom dealt with being so sick for so long. Mary Jane said she’d asked her that very question once, and her reply was “I just look past it.” In that moment, during my own struggle, it felt like my mother was there with me, telling me to look past the present moment and know a better day is possible and inevitable. After all, nothing is forever, including the bad and the pendulum always swings back. This is what all survivors teach us. They teach us to “look past it” no matter what that “it” is in life. The “survived by” eventually learn this and it’s up to them to help carry the torch “past it” and to one day, find that cure. 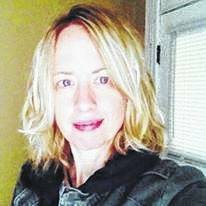 Beth Sergent is the editor of Ohio Valley Publishing, which includes the Gallipolis Daily Tribune, Point Pleasant Regsiter, The Daily Sentinel and Sunday Times-Sentinel. Reach her at bsergent@aimmediamidwest.com.